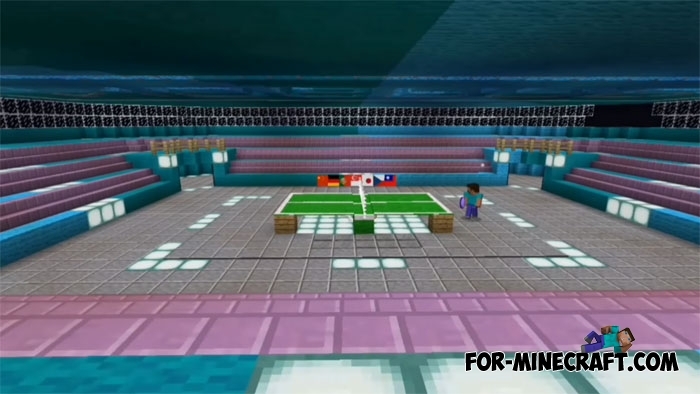 Nogard, the creator of this map, was able to port table tennis from the real world to Minecraft PE. 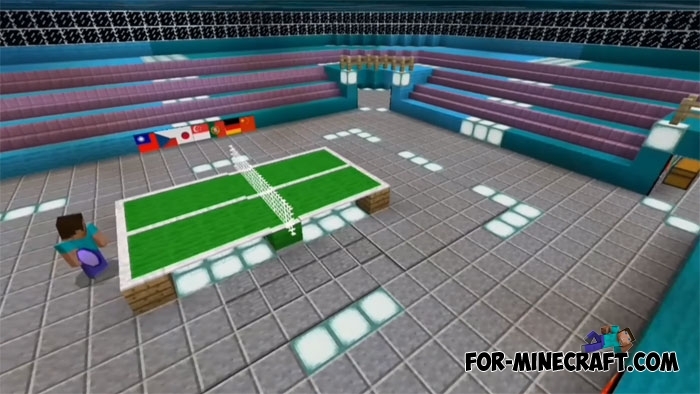 This map deserves attention not only from table tennis players, but also those who are not familiar with this sport. 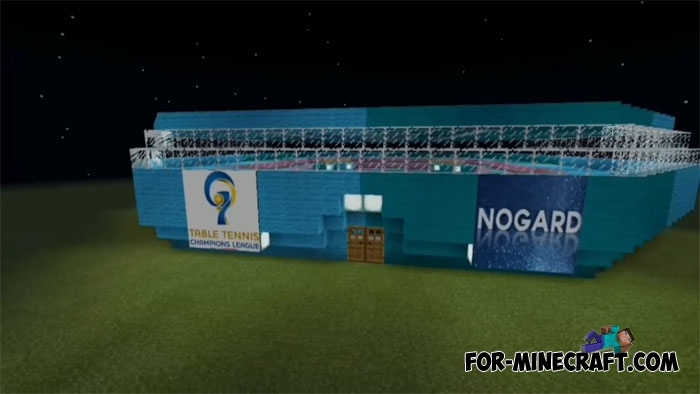 There is a small but very functional arena for conducting table tennis competitions, sports equipment (rackets and balls) and auxiliary items. To conduct your first game, you need to find at least one other player. 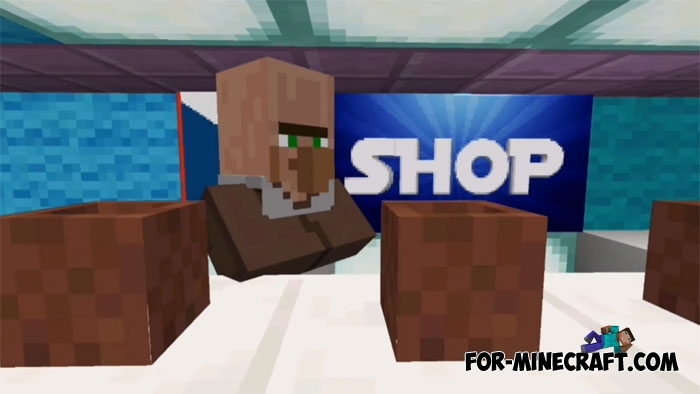 It's best to add this MCPE map to your server if you have one. Take the racket and throw the ball on the opponent's side. If the ball does not hit the opposite side of the table, then the pressure plates will react and your opponent will receive a point. 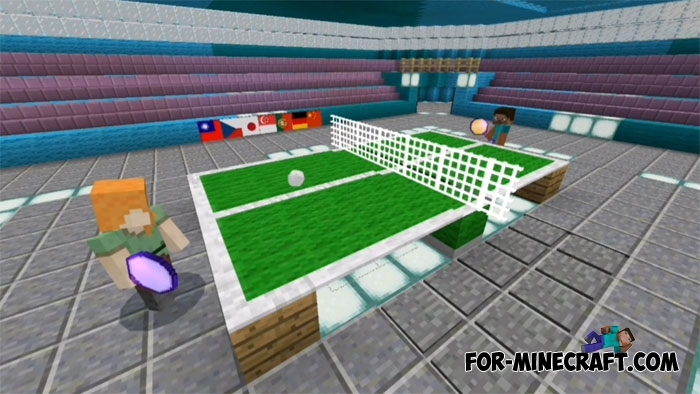 Thus, table tennis can accommodate up to four players, two players on each side. A small stadium can also become a place for spectators and accommodate all who want to look at the game. Dragon Ball mod (Minecraft PE)There are more than 15 sets of armor stylized as creatures from Dragon Ball, items and weapons with powerful effects, as well as mobs..
Pressure plates parkour map for MCPE 0.17.0If you like to test your parkour skills then the Pressure plates parkour map is what you need..